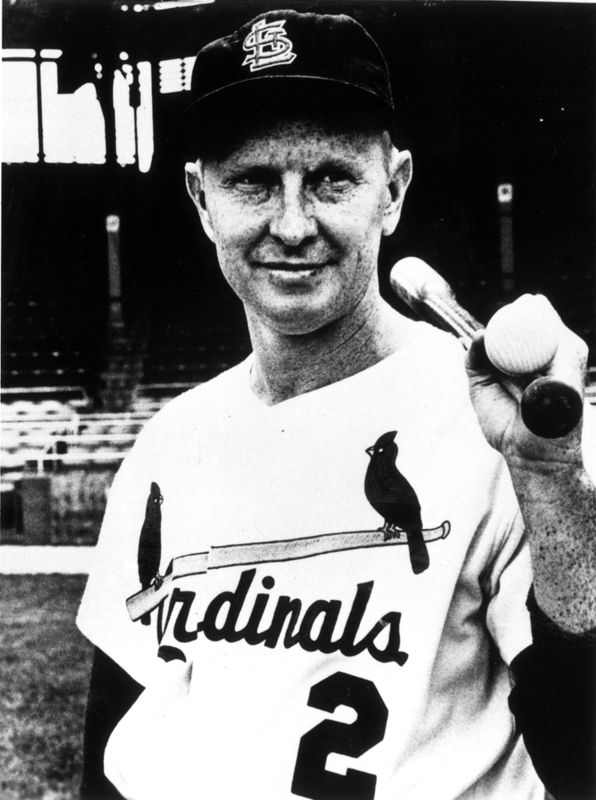 Albert “Red” Schoendienst joined the Cardinals in 1945, his first of over 50 consecutive years in a big league uniform. The Cardinals’ second baseman for over a decade, his spectacular defense and solid hitting helped them capture the 1946 World Series. Selected to ten all-star teams, he captained the star-studded Milwaukee Braves to two World Series before rejoining the Redbirds. Schoendienst managed the Cardinals for a team-record 12 years, winning the 1967 World Series, and coached for many more. A 1989 Hall of Fame inductee, Red Schoendienst was only the sixth Cardinal player to have his number retired.